Looking for the perfect gift? Cam can draw you a personalized custom caricature from your favorite photos. 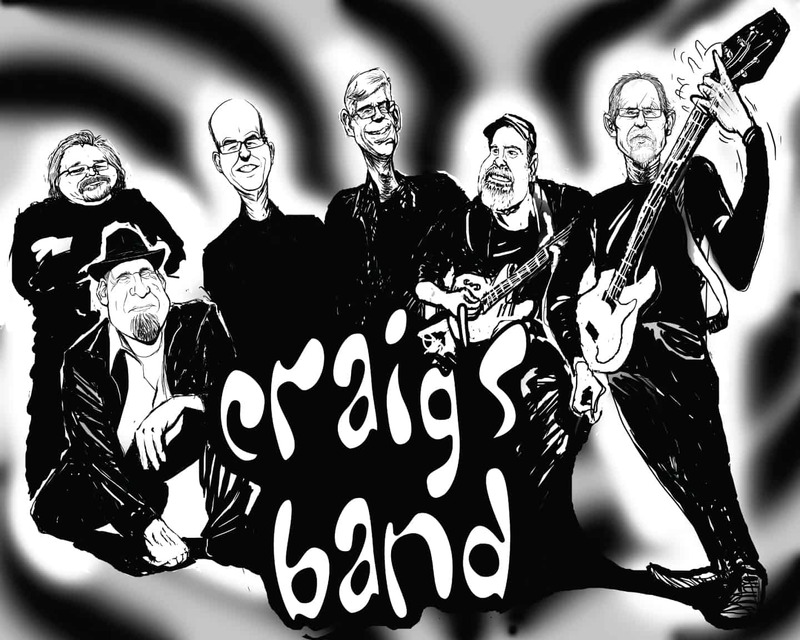 Custom caricatures are a thoughtful and personalized gift to give to anyone for any occasion. 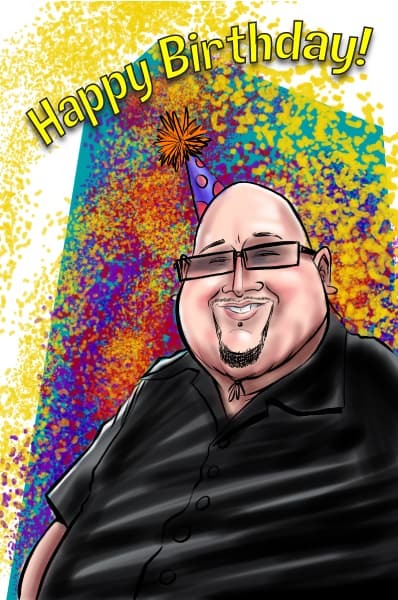 Caricatures can be a simple head shot of you or your friends and loved ones, or something more personalized like a birthday card or retirement gift. Caricatures make great retirement gifts. 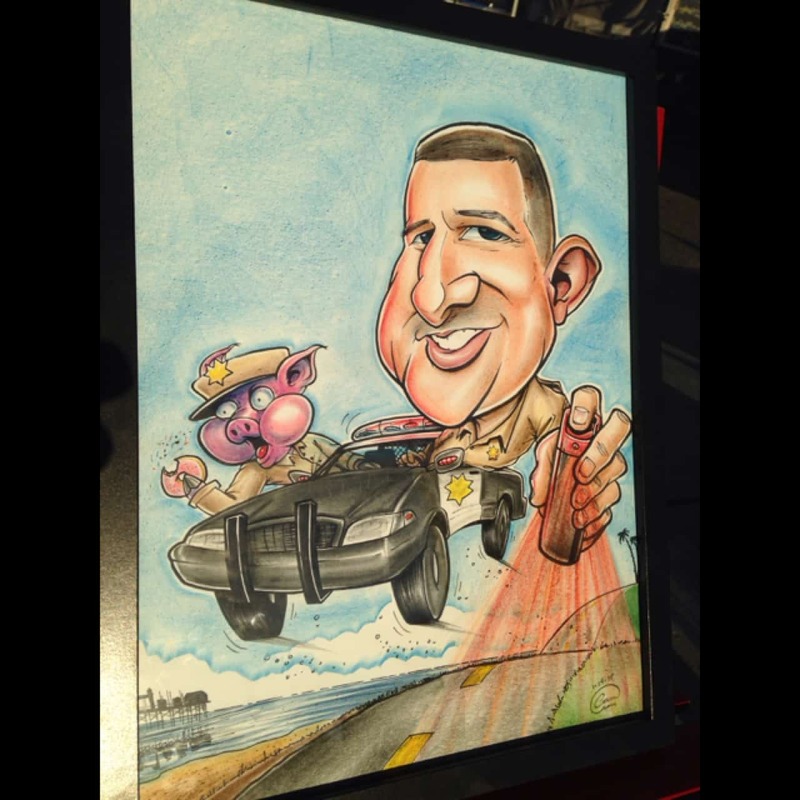 This hand drawn caricature was made for a Highway Patrolman who was soon to be off the force. They wanted something humorous for him to remember his days as an officer. Pets make for great caricatures and pet caricatures make for wonderful gifts. 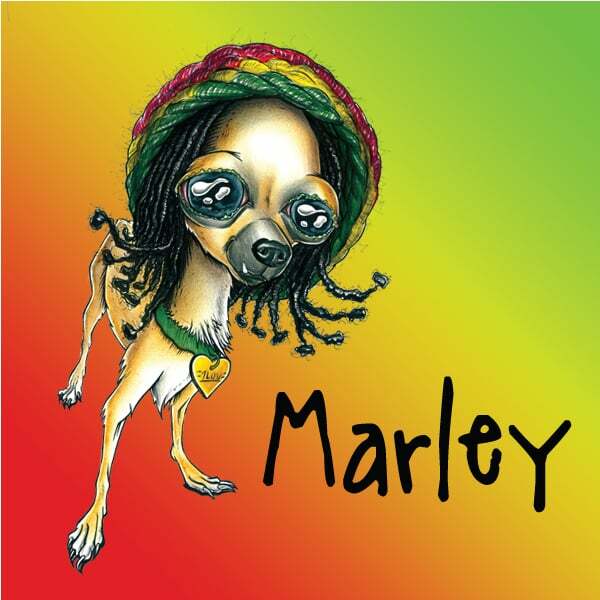 This dog’s owner crocheted this beanie with the dreadlocks that he wore everywhere he went attached making him an interesting subject to draw and a great piece for this pet’s parent. 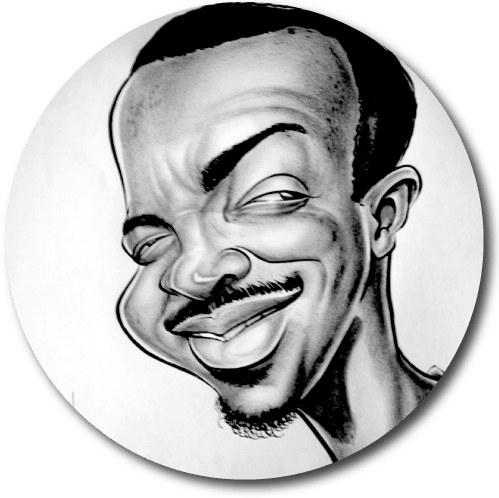 Caricatures are a thoughtful and memorable way to say “Thank You,” to your clientele. 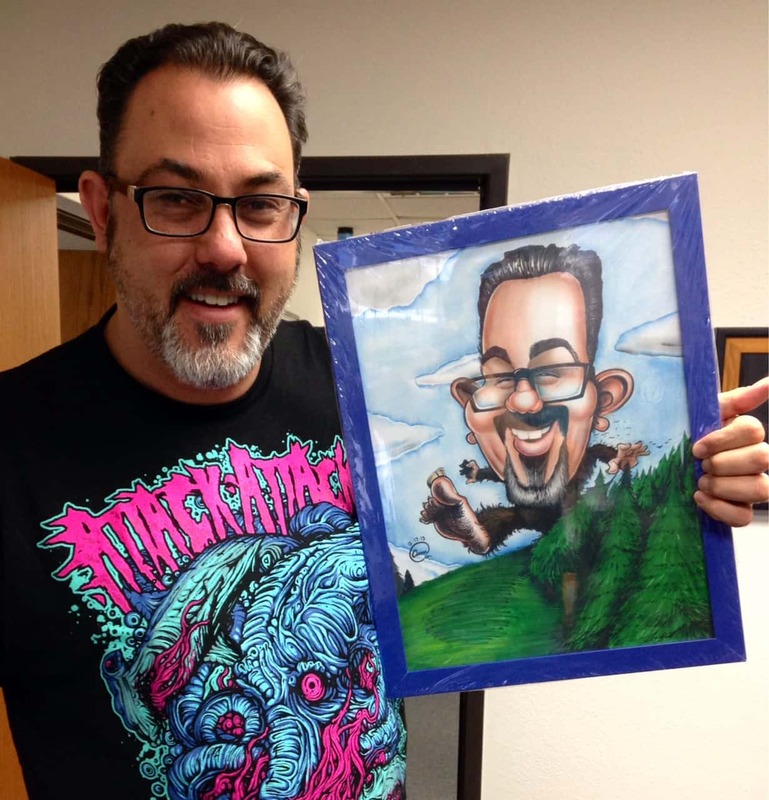 This hand drawn caricature of the owner of Big Foot Graphics depicts him as Big Foot tromping trees through the forest. 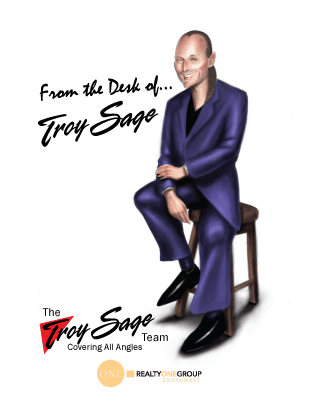 Show your employee of the month your appreciation by getting them a custom work related caricature. 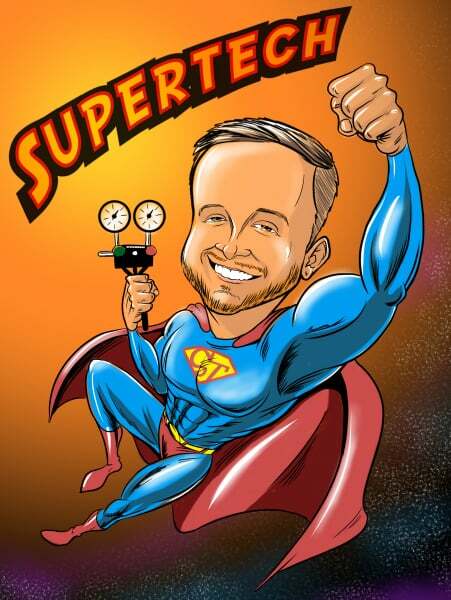 This digital caricature was created for an HVAC technician who was chosen as employee of the month for his company. 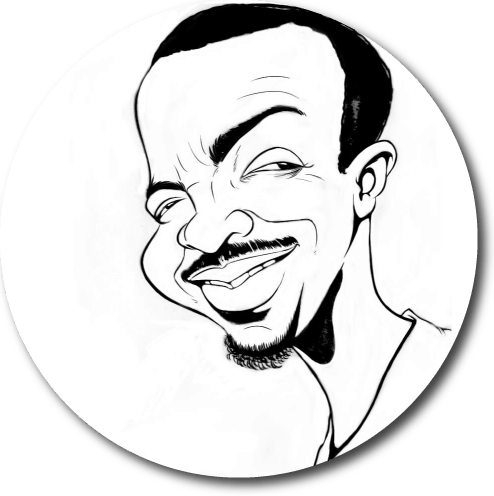 Thanking your clients with a caricature of yourself adds a personal touch to your gesture. This real estate agent wanted to add a touch of his style to the Thank You cards that he sent out to his clients to his appreciation for their business. 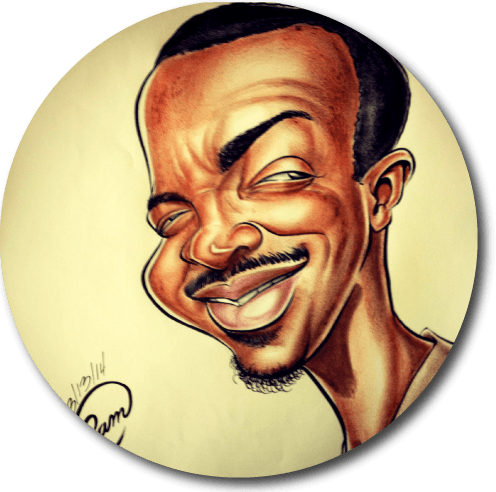 Caricatures are a customized alternative to picking up a generic impersonal card off of the shelf. They can be a simple head shot with your message or something more elaborate. Stand out and show your fans some flavor by adding stylized caricatures to your line of merchandise. This design started as a gift and became this band’s album cover as well as t-shirt designs. 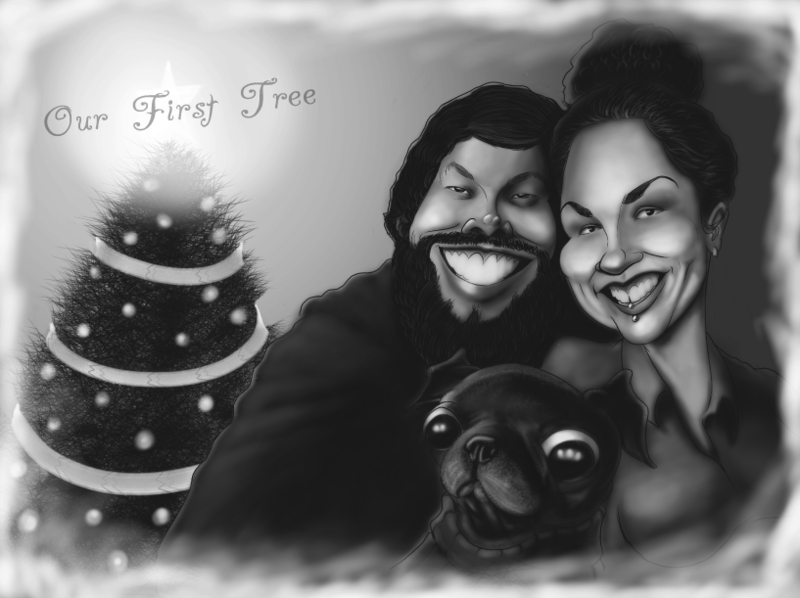 Show your loved ones your sense of humor by sending out a caricature holiday card. This couple wanted to commemorate their Christmas tree together in a special way, they even included their fur baby. 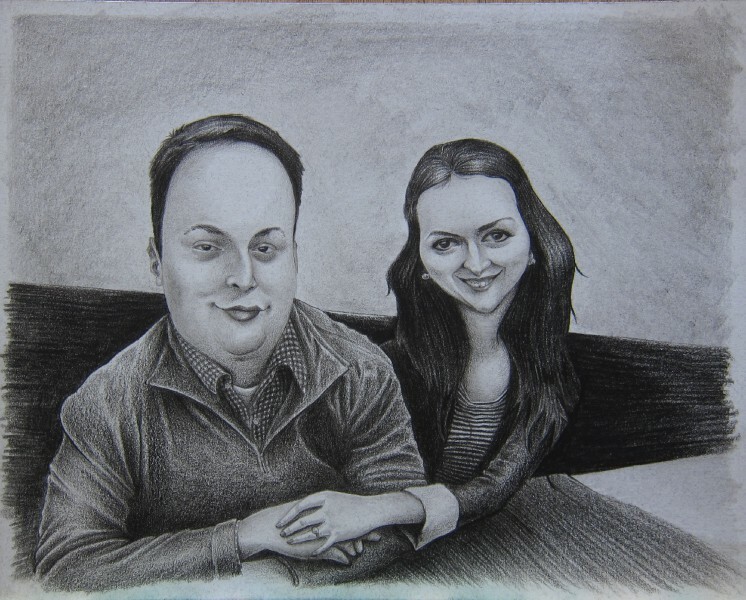 Caricatures can be a romantic way to commemorate the engagement to your fiance. This was hand drawn in graphite from a photo of the couple after they just got engaged.